Are you one of the 40% of women aged 40 or over, suffering from female hair loss? If so, you’ll want to know the tests used to diagnose the root of the problem (no pun intended). Luckily for you, we’ve noted these for your perusal. You may also require a blood test to track your C-reactive proteins and erythrocyte sedimentation rates. Your total iron binding capacity (this checks your bodies ability to carry iron in the blood). Your doctor will decide which (if any), of these to conduct in order to get to the bottom of your hair loss. The VDRL test is just another blood test. However, it could reveal whether your hair loss is a symptom of syphilis. Your blood sample is sent to be tested for antibodies that form as a byproduct of this sexually transmitted disease. You shouldn’t need to fast or stop taking any medications to prepare for this test- unless your doctor specifies otherwise. When your doctor receives the results from the blood test, they’ll have a better idea of whether the infection has spread to your brain. If they have cause to think this, you may also need your spinal fluid tested. The formal name for this test is; ‘fungal culture.’ It’s a lab test confirming whether there’s any fungus present in your hair or scalp cells that could cause your hair to start thinning. Tinea capitis, also known as scalp ringworm, is the most common fungal infection associated with female baldness. This test requires a dermatologist to scrape or swab the scalp. Alternatively, they’ll take a little skin or hair sample to test in the lab. However, this test can certainly take its time. It can need weeks of incubation in laboratory settings for a fungus culture test to turn positive. This is a technique that requires a healthcare professional to use a handheld magnification device called a densitometer. This enables the doctor to see if there’s any shrinking or miniaturization of the hair follicles that could be causing hair loss. A scalp biopsy is when a dermatologist takes a small section of your scalp, (usually no bigger than 4 mm in diameter) and examines it under a microscope. Hopefully, this assessment will bring them closer to figuring out what’s prompting your hair loss. The hair pull test does exactly what it says on the tin. The doctor will ever so lightly pull on a small amount of your hair. Typically, the doctor won’t take more than 100 strands at a time. This should give them a better of whether you’re suffering from excessive hair loss. If your doctor finds more than three hairs come out during the pull test, you’re suffering from ‘above average’ hair loss. This is where your hair falls out all over your scalp, and occurs when there’s an interruption to your body’s natural cycle of hair production. This is also known as rapid hair loss and usually happens as a byproduct of taking certain medications. This is an autoimmune disease. Like any other autoimmune illness, your immune system attacks your healthy tissue. So it’s unsurprising that alopecia areata refers to the destruction of hair follicles resulting in hair loss. This is very similar to the pull test. However, it has a very different function. Namely, a tug test requires a doctor to take a section of your hair in both hands — one hand near the root and the other towards the tip. The doctor will then gently tug the hair to see if any strands break. This gives the healthcare advisor a better indicator of the brittleness of your hair. This scale was developed back in 1996 at Yale University by Dr. Savin. This scale classifies hair loss patterns in women suffering from female pattern baldness- also known as androgenetic alopecia. This scale is comprised of nine computer illustrations enabling the health care professional to visually assess the hair loss pattern and thickness of the patient’s hair. Did You Learn Something About Female Hair Loss? 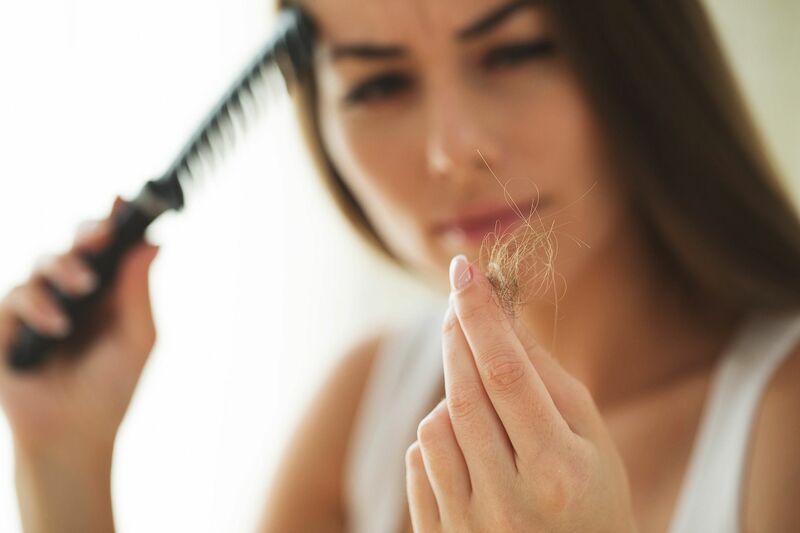 We hope this blog post taught you a few things about female hair loss. If this is something you’re suffering with, then the people at Trivocel want to help you out. 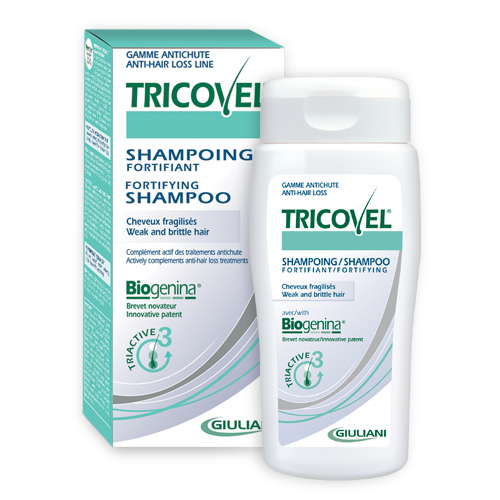 We produce a shampoo that specifically helps tackle female hair loss. Try it for yourself, and see whether you notice the difference!